The Kisumu LitClubu leaders' long awaited trip to Nairobi started with a night trip by bus on Thursday, May 9. This time of the year is rainy and cold in Kenya, so we all dressed warmly for the trip before leaving Kisumu. We arrived safely in Nairobi despite the poor road conditions in Nairobi. 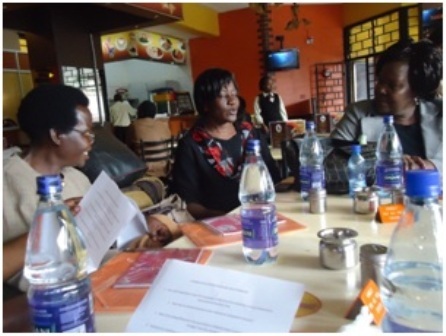 We were all excited about the trip since this was one of the first major trips that Kisumu LitClubs has ever ever done. A total of 8 LitClub facilitators from Kisumu made the trip Kibera. 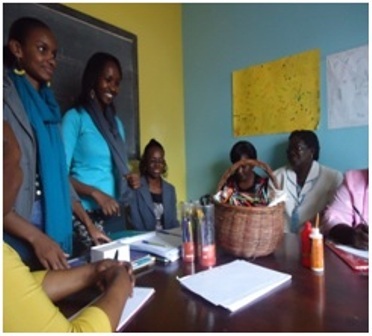 When we arrived at the Kibera Innovation Hub, our team was met by Prisca and Maureen. 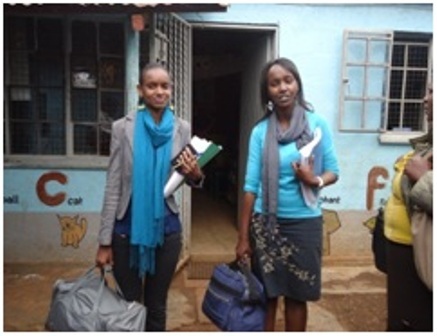 There was a lot to learn these two ladies who have a lot of energy and are doing a wonderful job with the children of Kibera. We were amazed at their work and the way they interacted with the children and the different activities they are engaged in. The Kibera LitClub team was very receptive to our questions and experiences. Prisca and her team took us through a training session showing us how they run the LitClub and how they structure the whole program. 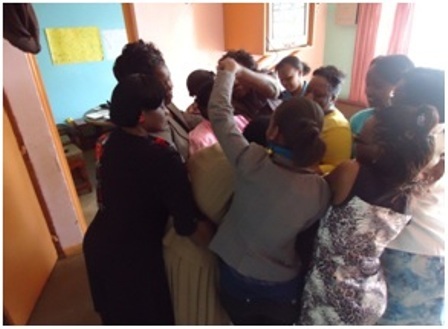 When Prisca and her team took us through the 7 Strengths of LitWorld, our Kisumu facilitators paid close attention and wished they could hear more, as Prisca and her team delivered the information in a captivating way. We were so encouraged with the work that was taking place at Kibera. We learned a lot from each other. Our leaders took lots of notes from Prisca and Maureen. We also had the privilege of meeting the area Member of Parliament (MP), Hon. Kenneth Okoth, who was teaching the children of the Red Rose School the Kenyan National Anthem. 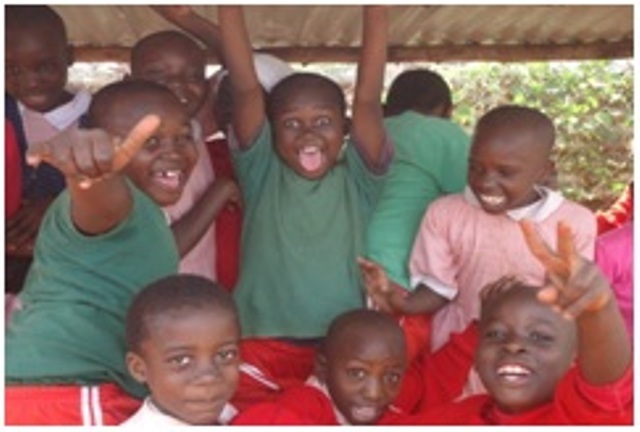 He is the founder of Children of Kibera which partners with LitWorld to run the LitClub programs in Kibera. 1. As LitClub leaders, we should always find the child in us for easy understanding of the children. 2. Reading aloud does help the child visualize and pronounce words better. 3. When doing a lesson on a particular strength, the best way to make the learning accessible for children is by backing it up with activites.